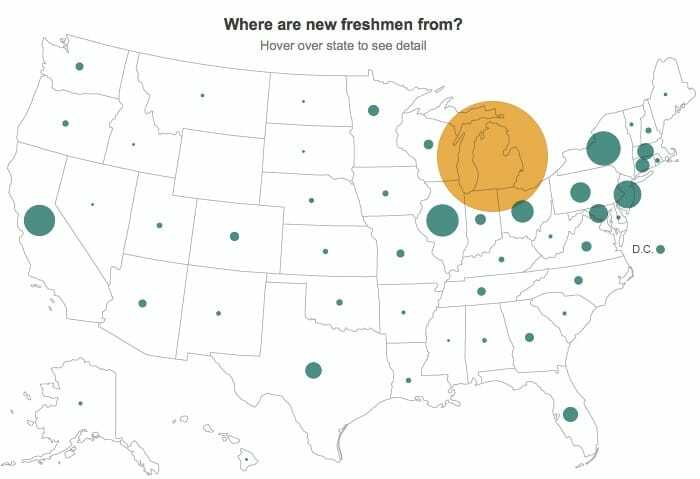 Where Are the Freshmen Coming From? Today I want to share a nifty interactive tool on The Chronicle of Higher Education’s website that you can use to see where students, who attend any college or university, are coming from. When I used it to look up the the University of Michigan, I discovered that the biggest contingent of nonresidents were from New York (361), Illinois (319), California (297) and New Jersey (234). Sixty four percent (3,900 freshmen) came from Michigan. 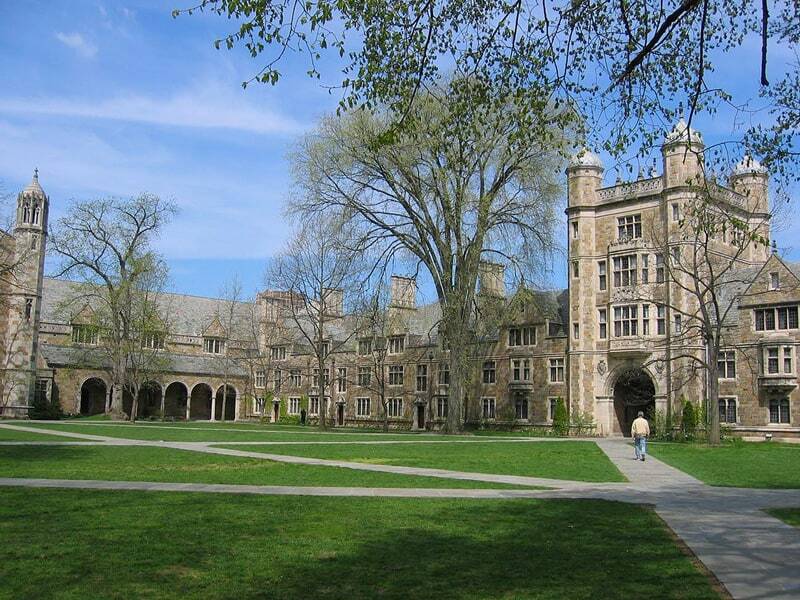 The University of Michigan has a long tradition of attracting students from outside the state — and enjoying the premium prices these nonresidents pay. When using this tool on The Chronicle’s website, you can put your cursor on any state on the map and see how many freshmen came from there. The smaller the dot, the fewer the freshmen. I also checked the stats of another prestigious flagship, University of California, Berkeley, which has only recently begun to aggressively pursue rich nonresidents. 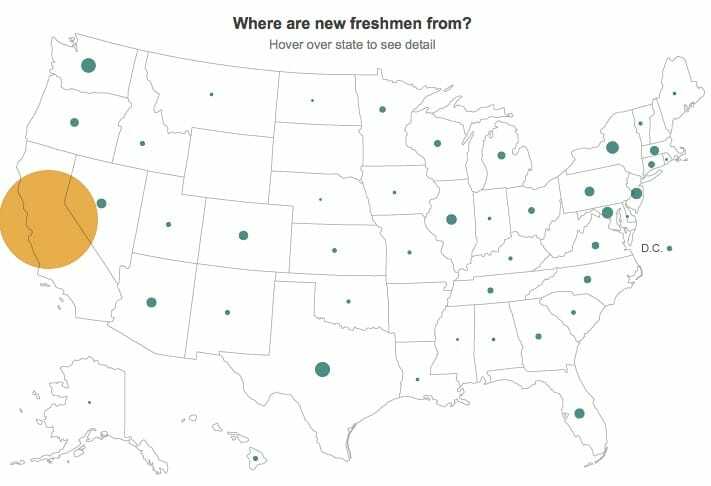 The biggest groups of nonresident freshmen came from Texas (62), Washington state (58), New York (42), New Jersey (33), Maryland (32) and Illinois (28). North Dakota, Nebraska and Mississippi each produced one freshmen for Berkeley. Eighty four percent of UC Berkeley’s freshmen class (3,003 students) were Californians. What Can You Do With These Stats? Are these just fun facts? Not necessarily. These stats could be helpful if you’re looking at private colleges and universities that value geographic diversity. If you’re a teenager, who is interested in a college that rarely sees applicants from your state, you could enjoy an advantage over other teenagers. It’s worth checking out. 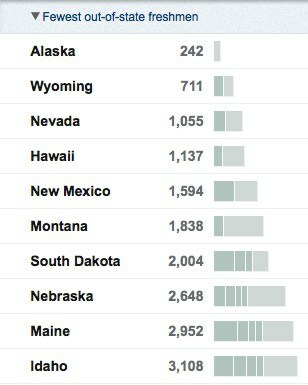 You can also use the tool to see what states are most popular with nonresidents. What’s cool about this interactive college tool is that you can click on the bars next to a state’s name and find out how many students are coming from individual states. 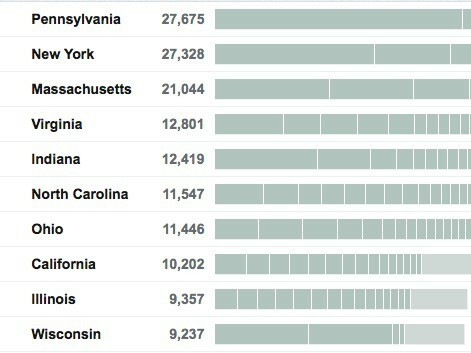 For instance, the biggest feeder states for Pennsylvania schools are New Jersey, New York and Maryland. Not surprisingly, the states that draw the fewest outsiders are remote or sparsely populated. The state that I was surprised about — it just missed being on this list at No. 11 — was New Jersey. Lynn O’Shaughnessy is the author of The College Solution and she also writes a college blog for CBSMoneyWatch.com and US News & World Report. Join her on Facebook.